I’ve struggled with this question lately and don’t believe there is an easy answer. A conversation I had with my brother brings light to the issue of what it means to be connected vs. disconnected. While sitting at a neighborhood bar, my brother and I began to discuss the increase of shootings in schools, work places, social events, etc. and how as a nation we’ve become numb to this social phenomena. The conversation started as I was sharing my grief over the most recent shooting that had occurred two days prior and wondering whether these shootings will ever stop and if , as a nation, we care. Each shooting bringing the same news stories and the same dialogues with the same results My brother quickly said he believes the “root cause” to why we don’t seem to care is we have become “disconnected”.. He said we no longer care about talking to one another, but instead care about what’s happening behind a small screen. I never thought of it this way, but honestly – go to a restaurant and what you’ll see is people on dates not focusing on each other, but instead focusing on their emails or getting to the next level of Candy Crush. You can go to a pool and two teenage girls are sitting beside each other and instead of talking they are texting one another.The phenomena has entered our work places and homes. Work places creating rules such as “no devices” during meetings. Holidays no longer filled with streets of screaming children on bikes, but instead children playing inside on their new gaming consoles or their new phones. We have lost the gift of humanity; which is face to face interaction. However, does losing personal communication mean we’ve also lost touch with reality and what’s important? Is my brother right? Lately, I’ve had several conversations around whether humans remain connected or not. If you’re over the age of 35, most likely you agree with me the definition of being connected has changed. 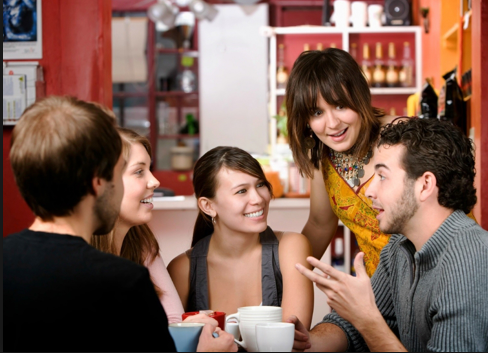 Where in the past you heard the word connected and pictures of families sitting together at dinner, going to a sporting event with friends, or connected through similarities such as interests, neighborhoods, attributes, etc. comes to mind. These days when people hear the word connected – pictures of text messages, emails, and social media is the picture we imagine. So the real question is does technology make us feel connected or has technology driven us apart? Where devices have given us immediate gratification and made us closer in proximity (no longer mail on donkeys)…. does it give us a greater sense of togetherness or a greater sense of loneliness? Jean Twinge, a psychology professor at San Diego State University, has conducted studies that have shown people who spend 5 or more hours a day on their devices are 71 percent more likely to have, at least, one risk factor for suicide. Other studies have shown, with technology we become isolated instead of being part of a community. Devices provide us a means to communicate yet at the same time hide our face; which is a scary trend when it comes to mental illness. The lack of interaction causes us boredom, sadness, and the inability to feel. Words on a screen are not as powerful as seeing a smile or experiencing a tear. When tragedy occurs, we’d rather not experience or talk about blood stained little faces buried in old classrooms, but instead delete our CNN feeds and forget it even happened. Recently, my father-in law, spent a month in the hospital. Although, this month was a terrible time for the family – we also experienced beautiful moments of what it means to be connected. I saw my father-in-law’s best friend of over 40 years hold his hand and laugh through old memories. I saw my mother-in-law sit by my father-in-law and lean her head on his shoulder. I saw my daughter shave her Papa’s face. I saw my father-in-law whisper words of endearment to my husband. None of these moments could have occurred over a device. We received many, many prayers over our Facebook pages, which were very much appreciated, but there was nothing like connection through word, eye, and heart contact. Although, let me not pretend, that I am innocent. I am as guilty as many others of relying on technology for work, downtime when we are on road trips, talking with my distant family and friends, and providing quick texts. However, I am also realizing the effects of technology which is the loss of connection. I’ve learned we can’t get away from technology 100% and our children need to be skilled in this technological world, but we also need to learn to balance technology with what it means to be human. 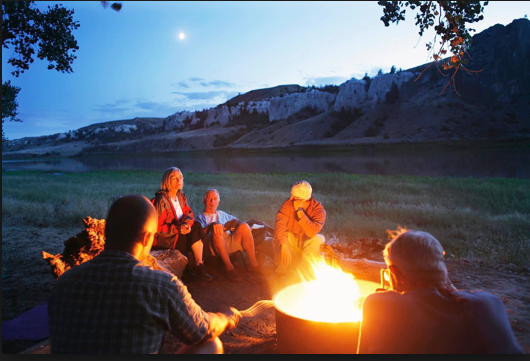 When in people’s presence, we need to talk vs. text, schedule game nights and dinner parties, enjoy the outdoors again, schedule trips to see family and friends, not walk away from those who are quiet or feeling depressed, and find ways to connect again other than by technology. We have to make the time to care again. We have to watch the news and instead of solely relying on technology to inform us of what’s happening – we have to be part of what’s happening. We have to be the person who saves someone jumping off the bridge vs. being part of the majority who is disconnected and lets the person jump. In short, we have to get back to the land of Andy Griffith, Leave it to Beaver, and a time where life was simpler. A land where we have a guitar and sit on a porch and sing. A land where like Cheers everyone knows your name. Of course, we can’t get away from technological advances, but we can remember what’s important. In my opinion, we won’t 100% solve the problems of guns, violence, and mental illness solely by re-connecting, but do agree with my brother that by re-connecting instead of disconnecting with technology – we will create amazing memories, we will build strong relationships, and we will start to break down walls that cause us to lose touch with reality.